Winter birds are always active, searching for food. It's especially hard for them in very cold or very wet weather, when they have to stay warm as well. 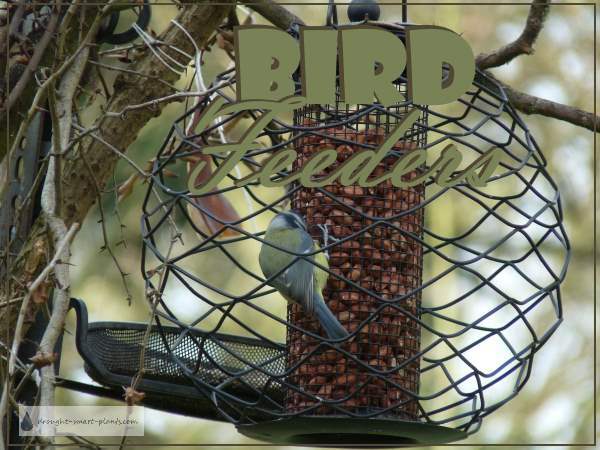 These bird feeders will help them survive. Here are a few to choose from. Remember to always keep them clean of mold, which can harm the birds that you're trying to help, and stop feeding them in the spring once there is enough natural food for them. They raise the healthiest babies on wild food, whatever that is for each kind of bird. 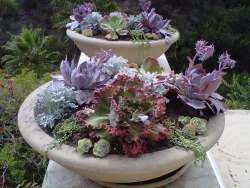 If you have an adblocker installed in your browser, please allow www.drought-smart-plants.com as a trusted site to view the items!